This multi-media piece was painted on tissue paper which was then mounted on a canvas sheet. 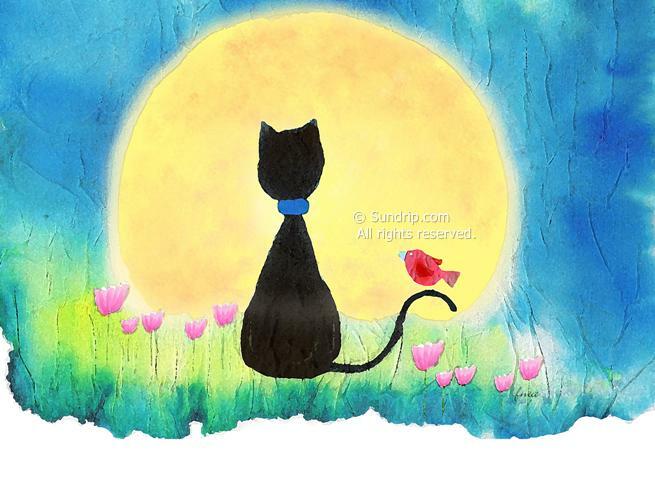 The illustration shows a kitty and her little bird friend saying goodbye as the sun sets on their day. This is so lovley! 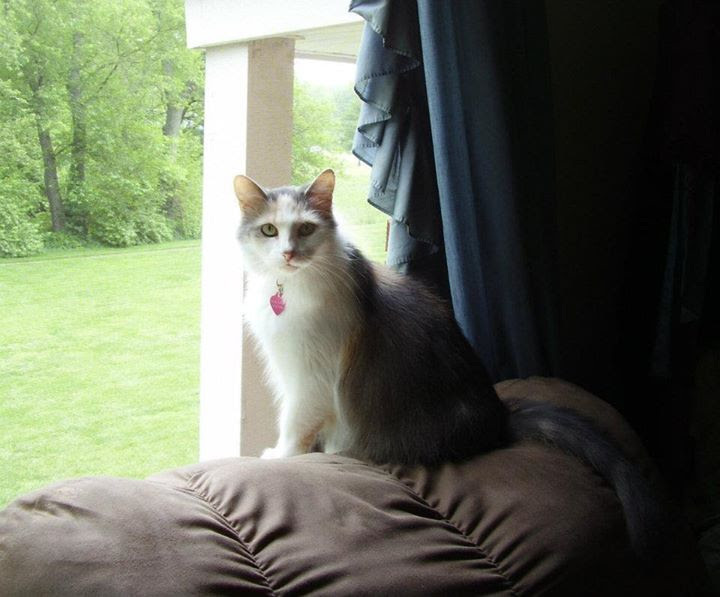 Reminds me of watching my little furbaby out the kitchen window. thank you for sharing!